Hello TV Addicts! I'm finally back from my trip and am able to spend a few minutes dissecting 2 awesome shows that aired over the past week and change. I will be brief because I have 4 hours worth of TV to cover, but I'm still open for massive amounts of discussion if need be! I'll try to get back on schedule this coming week for Alcatraz and Fringe, but due to new and exciting changes in my life, the recaps will probably be a lot less detailed than they used to be. I think these things just happen with getting older! Don't ever question my obsession with television though. That will never change! 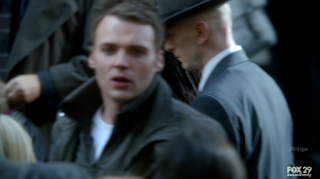 Okay, so we have 2 episodes of Fringe to cover and the first 2 hours of Alcatraz. I'll start by saying that I loved all 4 hours of television I watched! Fringe is a show that has finally established it's plan for season 4 and it's pretty darn awesome. I never doubted them for a minute, but unfortunately, many fans have abandoned ship. It's going to be another interesting winter/spring to see if some deal can be hatched to bring the show back for season 5. Alcatraz, what a great way to start the show. 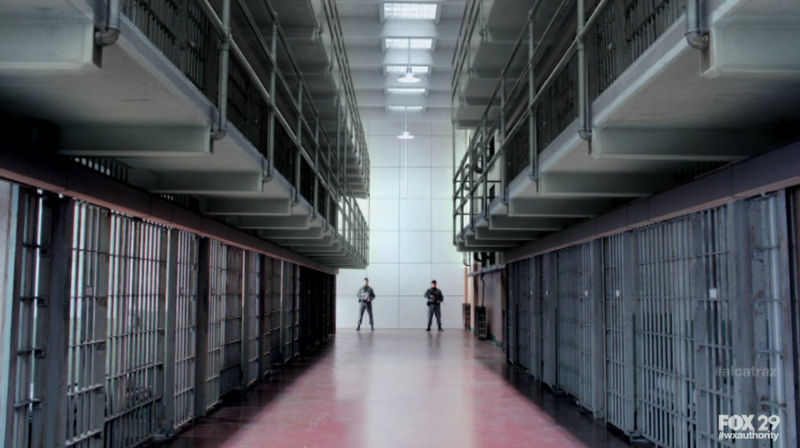 2 awesome inmates with great backstories and a definite sense of danger in the present day. But, the whole conspiracy about how these inmates/guards disappeared and are in the present day as the same age. That's what's going to keep me coming back. We'll get into more details below! Wow, just Wow. You can definitely tell that episode 8 and 9 were designed to be a fall finale and winter premiere respectively. We had 7 episodes of "Myth-alone" episodes (i.e. Fringe coined term for stand-alone episode with a bit of overarching story mythology advancement) that gradually were setting up the new world we were going to see for season 4. It took those 7 episodes to get us to a place where Peter has returned and found his way to be inserted into this new life, but with an overall goal of getting home. 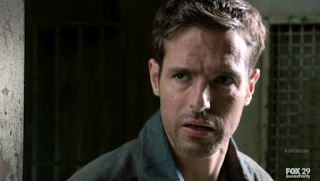 We set up the initial threat for this season in the shapeshifter 2.0s and the cliffhanger with Nina Sharp drugging Olivia. But, we were still in the dark with who was behind the shifters, only being able to assume it was Walternate (unless certain people read the casting news of David Robert Jones returning). This episode that dealt with Peter returning to the modified "OVER THERE" was clearly designed as an exciting fall capper that got us excited going into the hiatus. Unfortunately, the St. Louis Cardinals had other plans. (I still blame the Phillies for not taking care of business in their series!) But, alas, bygones are bygones and we have finally seen the great 2 episodes of Fringe and I'm sold on their goals for this season. I'm also left with optimism that their plan is to eventually return Peter to his world, but with some distinct knowledge of events that are to transpire in this version of time. Clearly, they don't want us to forget that there are unresolved storylines and versions of characters that still exist that we have come to know and love over 3 seasons. I know I'm still curious to know if Peter will ever find out that he has a child with Fauxlivia. But anyway, I'm just going to throw all important tidbits from this episode in the section below and we'll move on to the next episode! Glyph Code - JONES - If you recall, the glyph from the last episode "Wallflower" was DAVID, so this one is completing that phrase. We basically already had. David Robert Jones has returned! And it's very exciting. Thanks as always to Fringepedia for screenshot. September appeared at the end of the episode to this version of Olivia. This is the first time this Olivia is meeting September. Always awesome to see him repeat everything she is about to say as she's saying it! He discussed how he's searched every timeline and in all of them, Olivia has to die. Now, keep in mind we saw Walternate kill Olivia in that version of the future we saw. But, Peter returned with that knowledge determined to change that from ever happening. Of course, he then disappeared and showed up in this timeline where he doesn't exist. A couple things to note here. September has been pretty obsessed lately with talking about various timelines and outcomes. Even last season's "The Firefly" episode with Christopher Lloyd he discussed multiple timelines. Now does this explain why he kept Peter in the realm of existence instead of trying to make him disappear totally? Does he have a soft spot for the Bishops boys? Or is he really trying to keep Olivia alive? And the big question. Why on earth was he shot? Did he try to interfere in a certain timeline trying to keep Olivia alive? (maybe our original timeline?) And where did he disappear to? The other thing I wanted to bring up again was from the animated "LSD" episode. We met a man with an X on his shirt who was hiding in Olivia's subconsciousness. He seemed very interested in meeting Peter. And when Olivia woke up with her newfound confidence, she told Peter "matter-of-factly" that this will be the man that kills her. Is this the man that September always witnesses killing Olivia in every timeline? And who on earth is he!? I'm hoping we find out this season. Walterism of the Week - It's been a week so I'm a little rusty but I do remember him hair drying pinwheels and complaining about the waffle iron being broken. Food of the Week - Chocolate chip and banana pancakes! And the enemy is - David Robert Jones - If you hadn't recalled the season 1 story, Peter was able to bring it up to our world's Lincoln Lee who was about to travel through the very same dimensional portal that Walter created back in his heyday. Peter recounted how in his timeline, he killed David Robert Jones by turning off the portal and splitting him in half. That should have tipped everyone off that the man was most likely alive in this timeline since Peter wasn't around to stop him. Shifters - Alternate-Brandon ended up being a shifter. This was actually pretty nice since we got to watch that doofus perish, even if it wasn't in the original timeline! But, the big question now is if Alterna-Broyles is a shifter too. Based on the knowledge of episodes 8 AND 9 I would say that he probably is. He is definitely working with Jones, so it would only make sense. And Alterna-Broyles is dead in the original timeline. He helped Olivia return to our world. It would seem he died in this timeline as well, but Jones was able to reinsert him without anyone noticing. Walternate - To our surprise, it turns out that this guy is not so bad in this revised timeline. He has basically been working on trying to stop these shapeshifters but didn't alert Fringe division because he fears they have been compromised. He also was thrilled to see this version of Peter and try to help him, where Walter still is battling his past and not able to. Peter's visit to his "mother" Elisabeth was also a nice moment as well. 2 Universes Working together - After a few fun back and forth verbal attacks from various dopplegangers, it's cool to see Fauxlivia, both Lincolns and Olivia all interacting and bringing each of their strengths to the table, with Peter as the wildcard. This is the type of stuff we looked forward to ever since the season 3 finale! And major kudos goes to the production team for making this all look as seamless as possible! And I'm sure it takes forever for the actors to shoot all of these scenes too. Great work! Oh yeah, and another props to the Fringe writers for writing the whole Wookie-Prisoner Exchange bit into this episode. With Lincoln impersonating the "Over There" Lincoln and bringing Peter in cuffs to the docks. Good times! This episode just built upon everything set up in last week's episode and it was awesome! Another WOW for the episode and a WOW for the return of David Robert Jones who was chilling in every scene. We learn that Jones is collecting some type of mineral that can be used to blow a hole in the universe. A small amount will do, but he has collected hundreds of pounds of the mineral. What's his objective? It's anyone's guess. But world destruction seems to have been covered already! Here are some of the key points I'd like to bring up from the episode! Gylph Code - DEATH - Well, this could mean all sorts of things but I don't think we're going into LOST season 6 territory just yet! Possibly, just in reference to September's proclamation to Olivia in last week's episode. Maybe a hint that someone is going to die very soon. But in this alternate timeline, does it matter? I still question if we're even in an alternate timeline or if this is the same timeline and people just don't remember Peter for whatever reason. That would mean that the life/death stakes are still in play this season. Alterna-Brandon IS actually dead. 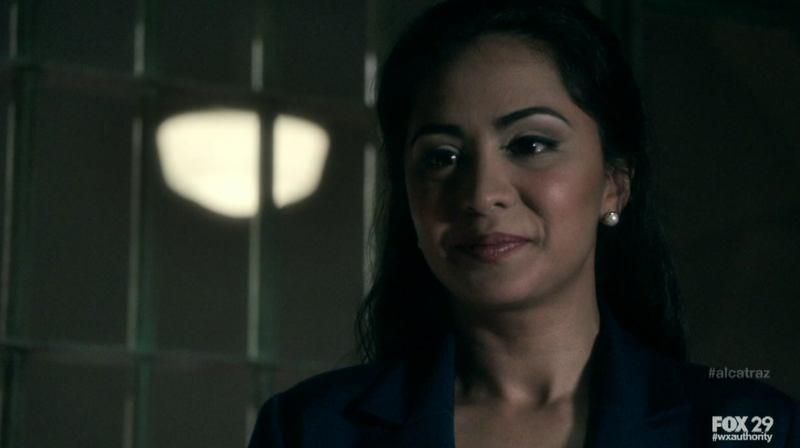 We know Alterna-Broyles was already dead and that seems to be intact now. It's really going to depend on how Walter's assistance in getting Peter "back" progresses. Maybe he'll discover that he's not in the wrong place at all. This would explain why the machine that was designed for Peter/Olivia to use together even exists. But, it might not explain why Fauxilivia doesn't have a child. I'm just throwing crazy ideas out there. But I'm very curious to see where they go with this! 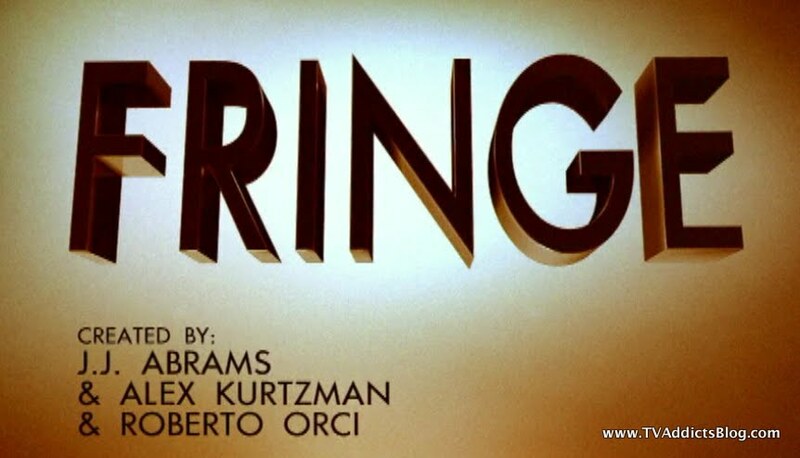 Thanks as always to Fringepedia for screenshot. Observer Spotted - I actually spotted this one without having to look it up! He walked by our Lincoln Lee when he was chasing after Jones at one point. Walterism of the Week - Talking to Gene the cow, "Tale West makes for the best, Tale to the East makes for the least. I told Astrid she wouldn't need an umbrella." That dude is just crazy! Food of the Week - Walter working on new food creations: Spherical Pastrami and Parmesan Ice Cream. Classic! DNA Test - Olivia is clearly a little spooked from her recent interaction with September. She has collected a sample of his blood and has asked Astrid to do a DNA test on it. She isn't expecting to find anything, but we'll see what happens! Peter's assistance to both Fringe Teams - Peter had no intentions of getting involved with the 2.0 Shifter mess, but then he saw David Robert Jones brought in for questioning. He had no choice but to divulge the information he knew and ended up becoming an incredible asset. And it looks like he will be the wildcard in this chess match with Jones. The only problem is, they are still unaware the Alterna-broyles is a shifter/bad guy and he will keep sabotaging their attempts to thwart the plan. I love how their manhunt ended up spanning both universes and involving both teams. As I mentioned before, this is what we signed up for at the end of season 3. And so far it's pretty darn awesome! Olivia's change of heart - Peter ended up saving Olivia's life by telling her not to chase Jones through the portal. The car ended up getting sliced in half but not her. She thanked Peter at the end of the episode with a lingering glance. The whole idea of Peter and Olivia falling in love all over again is another one that makes me think that Peter is NOT in a different timeline. Also, when Alterna-Astrid asked him if he's really from another timeline, Peter didn't definitively say yes, he added an "I think so" to the end. Even if he is in another timeline, I guess just showing the natural attraction of these 2 characters is an important piece of the Fringe mythology. And Jones' accomplice is - Nina Sharp! We were left with the cliffhanger in the fall of Nina drugging Olivia. We still don't know what's going on, but we know that it's tied to Jones' mission with the shifters and the mineral stealing. It would also seem like Nina is the mastermind behind this whole plan. Can't wait to see what happens! So that's my Fringe commentary for the week. Hope it suffices! I'm glad the show is back on track and I hope viewers will return to it. WB owns the show and made a case that they have no intentions of letting FOX cancel it. We'll see if that's true! Until then, we have 13 more episodes to enjoy! So 2 hours in and I already love this show! I love the potential that it has to be some kind of hybrid of LOST, Fringe and Prison Break (but only the good season of Prison Break - season 1). It basically is taking on a Fringe format of a "case of the week" but with mythology advancing tidbits. But the way they are revealing those tidbits seem to be in the shape of cliffhangers/twists at the end of episodes, a la LOST. And of course, the whole mystery behind the disappearing prisoners and reappearance in the present day, is very LOST mystery-like. 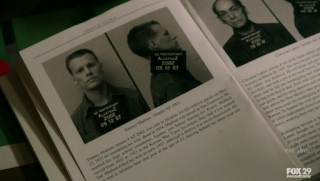 And of course, each week will feature flashbacks of the featured inmate/prison guard. And I must say, I love the flashback format of opening and closing jail cell doors to go back in time and back to present. Very creative and different enough from the LOST "whooshing" sound to be its own cool thing! I love that JJ Abrams and Co are building on what has worked in previous shows but doing it in a whole new setting with its own unique spin. Oh yeah, and so far I'm digging the main cast and the potential for captured inmates to be featured in future episodes. My comments will be really brief this time around because A.) I just realized I spent a lot of time writing about Fringe and I'm sure my wife will be complaining I'm not pulling my weight with the baby soon! (kidding - kinda!) B.) It's still too early to get into too many details about this show. Here we go! I'm a little rusty on Jack's story as it was a week ago but if I recall he was a Jean Valjean type of prisoner. He only stole to provide for his family and ended up in Alcatraz or something like that. While he was in there, his wife got with his brother and she requested a divorce. 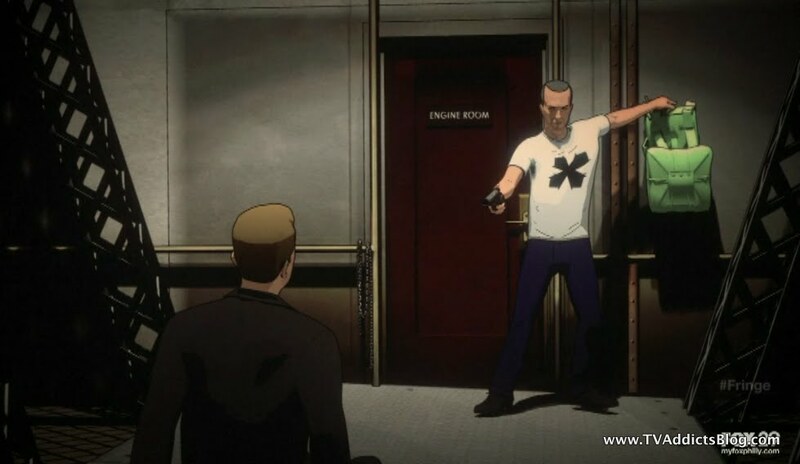 It would appear then that Jack became vengeful, and reappeared in present day to get justice. He killed the warden of Alcatraz, Tillman who appeared to be the biggest of all DBs. (we'll just keep that abbreviated) And then he went after his brother. Of course, I forget if he killed him or if Madsen and crew stopped them first. I'm going to have to watch these episodes again! In any case, it was a fun manhunt and Sylvane was secretly taken to Emerson Hauser (Sam Neill)'s recreated underground Alcatraz prison in the middle of the woods! This place seems to be designed to house all of the inmates that will be captured. It does not appear that Madsen or Soto (Jorge Garcia) have any knowledge of this recreated prison yet. Then again, they don't know half of the stuff that Hauser and Lucy are involved in! In a 1960 flashback, we meet Prisoner 2002's shadow behind a curtain. He seems to have some knowledge in 1960 about what's going to happen in 1963. He comments about them taking vials of Sylvane's blood and how "underneath" Alcatraz there is some interesting stuff going on. The natural instinct to go to with this whole vanishing is "time travel". At least for me it is. But now with the whole vials of blood in the mix, I guess we shouldn't rule out cloning of some sort? 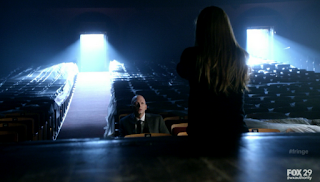 We find out that Madsen and her partner were chasing her grandfather, Tommy Madsen early in the episode. He had not appeared to have aged since 1963. And he is still currently on the lam. More to come on this! 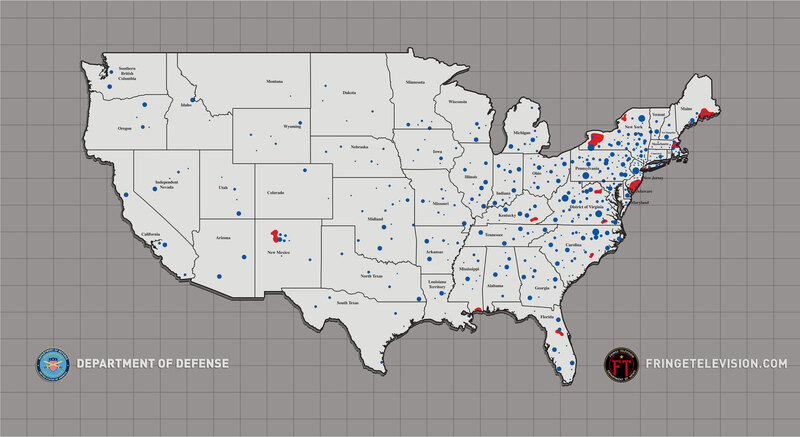 The 63s are comprised of 256 prisoners and 46 guards. They all vanished on March 21, 1963 the day Alcatraz officially closed. Emerson Hauser was one of the prison guards that discovered everyone had disappeared. What other knowledge he has, remains to be seen. I am a little confused by Emerson's age though. I'm going to guess the writers took a few liberties. If they are saying he's the same age as Sam Neill, he was born in 1947. That would make him 16 years old as a prison guard in 1963. I'm going to look past this for now! 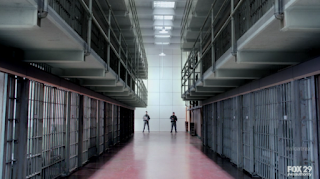 Episode 2 was our first look at what a normal episode of Alcatraz will look like. The introduction of the team was taken care of and now we're on the weekly manhunt for a prisoner. 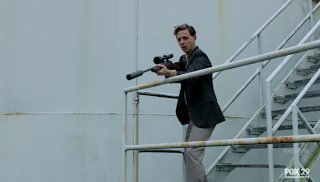 Ernest Cobb is a very experienced sniper who was already in prison before coming to Alcatraz. He shot a prison guard in the leg intentionally to be able to transfer to a private cell on Alcatraz. The man enjoys quiet and his privacy. Something he never was able to find even on Alcatraz. He had a talkative next door neighbor and did everything in his power to ensure he'd get moved to solitary. He read the rulebook and found the slightest infringement that moved him. The warden (I think?) wasn't too thrilled with being outsmarted so he through in the noisy neighbor with him in his solitary confinement. But, Ernest had a great view of San Francisco and he focused on that skyline and his next vantage point. He built a scope out of a magazine and a few lenses and studied his target. He had a pattern of people he'd shoot every time he got to sniping. The number 47 was thrown out a lot but to my knowledge, didn't signify anything important, yet. When he showed up in present day, he went right on with his shootings. He set himself up a nice picnic, ate a sandwich and started shooting his victims. Pretty intense that this guy seemed so calm but so deadly at the same time! And that the show was willing to "go there" with killing all these innocent people. But, they have to establish that these prisoners being on the loose if VERY DANGEROUS. They did a good job! Soto (really tough not to call him Hurley. But he's doing a great job distinguishing the characters so far!) and Madsen are able to track down Ernest by detecting his pattern. Although, at one point it puts Lucy (ER girl) in the line of fire as Ernest outsmarted them. She ends up in a coma, upsetting Emerson deeply. But, in the end, Madsen figured out where Ernest would be going by assembling the scope in his cell and looking out at that skyline. They narrowed it down to 2 possible buildings it could have been in 1963. They recruit Emerson for the assault and take Ernest down. A pretty intense scene I must say! We learn that Prisoner 2002 is none other than Tommy Madsen, Rebecca Madsen's grandfather. 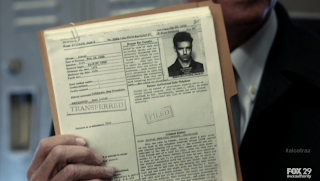 So not only was Rebecca's grandfather an inmate of Alcatraz, he has knowledge of what happened in 1963. Based on the screenshot in the book we also learn that he got a life sentence for murdering his wife. When Ernest is brought to the new-fangled Alcatraz, he and Sylvane exchange glances. It's tough to tell if Sylvane actually knew Ernest, to which he passed a lie detector test saying he didn't, or if he was surprised to see another inmate coming in. 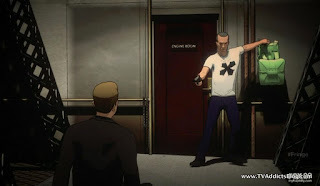 There was also one of those smart phone "i-nigma" scan codes on Sylvane's cell. I tried to scan it but couldn't get it to work. I'll look around to see if anyone cracked it. The biggest reveal was at the end of the episode when we found out that Lucy was around in 1960 and appeared to be the same age as she did in current day! So, even if she does die (doubtful) it would appear that her involvement in the show is far from over. She would seem to be very integral to the conspiracy. How much does Emerson know about Lucy. How much do both of them know about the whole mystery? Why has Emerson aged and why not Lucy? Again, is it a clone of her in the present day or is time travel involved? By the way, Soto had a very Hurley moment providing his one-liners. He asked Lucy at one point about HOW they're showing up and that he had his own theory about worm-holes. Ahh good times. Lucy's response, now making more sense since she seems to be involved, was that it shouldn't matter how it's happening, only that it IS happening. I look forward to keep guessing the HOW as we dive more and more into this rabbit hole! So that's all I have for this 4 episode commentary folks! Hope it was sufficient! Probably longer than I anticipated it to be, but that's the usual for me! As I mentioned, I'll try to get back to a regular commenting pattern here, but we'll see how things go with other obligations! Hope you enjoyed my ramblings as always and I'll see you next week some time! 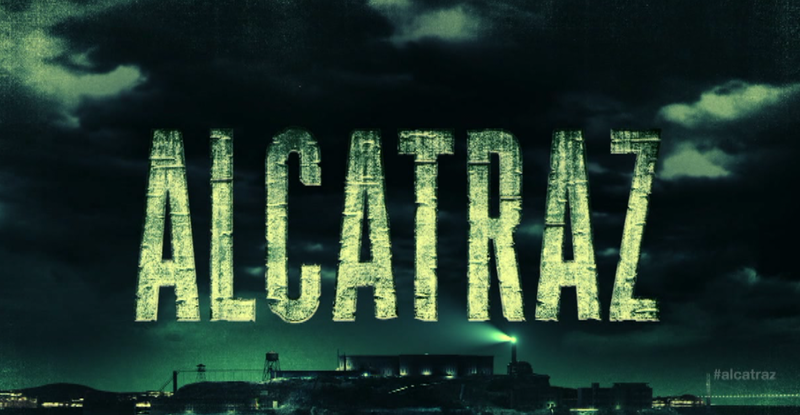 Oh, Alcatraz, you have saved me from being forced to spend my Monday nights guiltily watching The Bachelor! Though, to be honest, I'm still watching it anyway, lol.. to be clear, though, I am only watching because I was bored enough to watch last season of The Bachelorette (where the currect Bachelor first appeared) and I just HAVE to see this one through! Thankfully this will be the end of my Bachelor/Bachelorette experience, as it really makes me feel like a horrible person, hahaha! Now let us never speak of this again, lol.. In any case, back to Alcatraz.. I rewatched the first two episodes, and I'm still not entirely sure Sylvane and Cobb are in cahoots. I think they were just shocked to see each other. Cobb seemed to be the one who was more disturbed by seeing Sylvane, but remember Cobb's flashback? He saw Sylvane knock down the chair (I'm guessing that was when his wife told him she wanted a divorce), so Cobb definitely recognized Jack.. hmm, I guess this is one of those things that we'll have to find out as it comes. I figured Hauser was probably 18 when he was a guard, which is only 2 years older than he really is. It is definitely tough not to refer to Soto as Hurley! Maybe I should refer to him as Hurto? Sounds like a superhero or mexican wrestler, lol! Oh, and Sylvane didn't kill his brother, but Hauser made it seem like his own people did! Though I'm going to make it easier for me and say that his brother is alive and well and reunited with his son. I'm reading a lot of comments about how people "knew" that Lucy was from the past as soon as Hauser said to her, "You always wanted children" (after he told her to watch after Rebecca and Diego). Can someone please explain how that line means that Lucy's from the past? A person could know all their life if they wanted kids, what was that about? Also, I wonder how they will treat episodes with the guards that disappeared. It's not like the guards were terrible criminals, so they can't exactly lock them up with the inmates, right? Anyone watch Once last night? You've confused me Mike with your comment 'Why has Emerson aged and why not Lucy?' WHy wouldn't Emerson Hauser age ? He didn't disappear with them - the discovered them all gone. 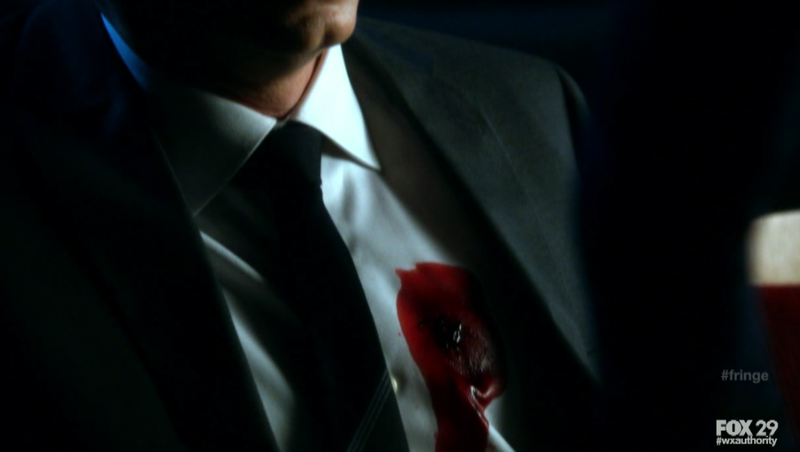 On Fringe - I too assumed it's September's blood Olivia is having tested. But someone I know is thinking it's her own blood since Peter alluded that she did not need the machine to cross and then Sept appears and tells her she has to die - that maybe she is wondering about herself ! Could be interesting if that is the case. Chuck was awesome as always. Won't saymore in case you have not watched. BUt my jaw was hanging open ! Yeah, I never really got the vibe that Sylvane and Cobb were in cahoots, but I saw someone (I think MJ) mention it on the hiatus blog, so it got me thinking. lol True on cobb recognizing Jack though. I do remember that scene. Good stuff! Did I ever mention (I know I have) that I went to the same high school as Michael Giacchino? lol I always like to mention that fun piece of trivia. I'm a musician also, so we probably both participated in the same music programs at school. Good stuff! 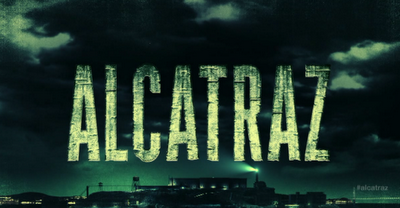 Anyway...I don't want to upset you but I think Giacchino's involvement with Alcatraz will be fairly limited. I found this out about Fringe too. He definitely scored the pilot episode but I don't think he'll score everything. But his themes that he comes up with will probably be used throughout the run of the show. He's too busy winning Oscars and stuff these days. But, man his LOST scores were amazing. I actually knew his work on the Medal of Honor video game series. I remember thinking how great the music was. Little did I know that he'd be scoring my favorite television show in the years to come! I probably looked way too much into the Hauser thing...just wanted to throw it out there one time! LOL @ Hurto...I like it! I'm curious to how the GUARDS episodes will work too. And you never know...the guards may be just as shady as the prisoners on alcatraz! So far they seem to have made the warden look pretty evil. We'll see! @MJ - I'm not sure why I say half the things I say! I probably didn't mean it the way it came out. I was more curious of Emerson's present day age and if he really aged from 1963-2012. But, like I mentioned to Kelly...I probably looked way too much into it. But I am curious to know if Emerson knows about Lucy being one of the 63s. I would assume he would have to. Hmmm on the Fringe comment. I guess she could be wondering about herself. But for now, I'm just going to say it's September. She did say that Astrid probably wouldn't find anything. Why would she say that about her own blood!? I thought the brief commentary worked just fine ! Yeah - I watched the game last night too but didn't get to Once. I was exhausted so I needed something mindless to watch. Cannot believe that Sarah is going to try to kill Chuck ! I know it won't happen but my jaw was just hanging open ! I wil not be surprised if we get a Jeffster number next week. I think they will pull out all the stops. Sounds promising for another season of Fringe ! Aw, its too bad that Giacchino won't be scoring the whole series, but it's definitely understandable! And I don't remember you saying that you went to the same high school. That's so cool! Much better than my fellow celebrity high school alumnus... Mariah Carey (UGH). But she graduated, like, 10 years before I did! Mike, whatever recap format you can do is fine! 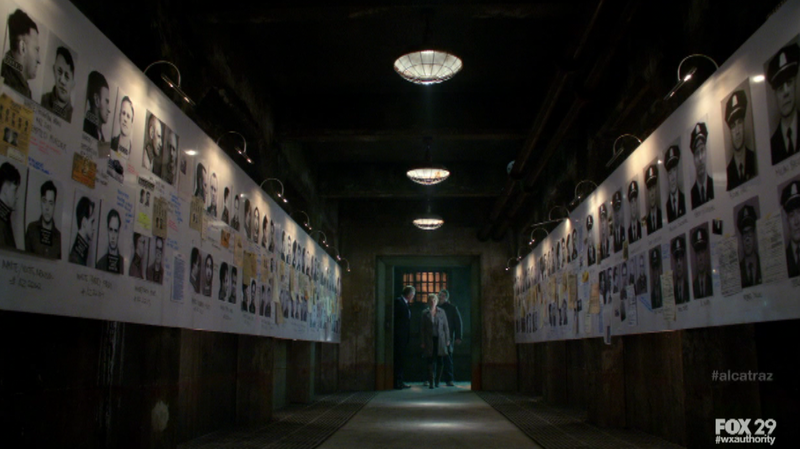 I don't even care if you do "Alcatraz epsiode=Good" and "Fring episode=OMG WTF?"! Well, I wouldn't go THAT far, but you know what I'm saying. We all discuss further in the comments anyway, you're role as a dad is much more important (and rewarding, I'm sure)! I'll refrain from commenting on Once til MJ watches it.. but i WILL say that man, those are some tall dwarves! And not that I'm a Fringe fan (though I totally should be, amirite? ), but I saw the ratings were up for Friday! Also up for Grimm (which, in my opinion, is growing stronger every week!). LMAO! I typed "tall dwarves" on the bottom of my last comment when I was in the middle of writing my thoughts on unrelated stuff, just so I would remember to make the tall dwarves comment later on.. but I left it in there, hahahaha! Mike, I'm with Kelly, whatever you do in the way of a recap is all good! I don't have much to add on the Alcatraz commentary, but I'm wondering if you caught the "back of the book" LOST shoutout you mentioned? I didn't, so I'm curious about that. They did show a close up of the back of Soto's book. As for showing the prisoners are really dangerous, I actually toured Alcatraz many years ago, and they said that most of the prisoners that were housed there were there because they were problem prisoners in other prisons. Their original crime may not have been what brought them to Alcatraz, but their bad behavior was what got them sent there, like trying to escape or killing a guard, etc. Either way, they were the worst of the worst. Leslie, when I rewatched the first episode, I paused on the back of the book shot, and the closest thing I could see regarding Lost would be that one of Soto's other books was "Alcatraz By The Numbers". A possible reference to the Lost numbers? I dunno..
Oooooh I'm so jealous, I have always wanted to tour Alcatraz!! Old prisons and other buildings make my photography bug bit me big time! Kelly, thanks, I'll have to take a look at that book again. It was really cool to walk around Alcatraz. They put us in a solitary confinement cell, which wasn't like the one they had Cobb in where he could see outside, and closed the door, and you couldn't see your hand in front of your face! Very eerie! They also really had the housing for the guards and their families with swing sets and stuff which looked so out of place in the setting, but they were on an island and did live there with their families just like they said in the episode. On another note, I also watch Revenge, but haven't commented with you and MJ because I usually don't watch it until the weekend after it airs. It has become a guilty pleasure to watch! It's cool with the Giants. I couldn't believe the Niners did such a 180 this year anyway. I'll live! But I do know that I am really against either the Patriots OR the Giants winning the super bowl. But I'll definitely be watching. Sorry you don't like football! lol I wouldn't mind a LOST marathon in place of the super bowl though. Sounds like a good idea! I'll save my "alcatraz=good" type comments for my twitter feed! Don't worry, I'm sure you all know I am incapable of being brief all of the time! But thank you for your understanding! ONCE - Definitely tall dwarves (and funny on the duplicate note at the bottom). And I will also say I loved the "Typewriter Scene" because they basically seemed to be referring to the Magic Box on LOST. lol (or basically any mystery on LOST) Good times. Yes you should be watching Fringe!! It's awesome! I heard ratings stayed pretty much the same, but maybe they went up a little. lol Grimm, I'm 2 behind but I agree that it gets better with each ep. I usually watch them early mornings on the treadmill but I've been on a HIMYM rewatching rampage (love netflix!) lately. i'll get to them some time this week. @Leslie - thank you TOO for your understanding! I actually toured THE ROCK many years ago as well! (1996 to be exact). The best part was that it was the same summer that THE ROCK was out in theaters so my brother and I were so excited to be there. lol We were quoting Connery and Cage lines the whole time. Kind of like when I went to ROME right after Gladiator was in theaters. I definitely did the whole Maximus speech in the Coliseum. And yes, I'm a huge dork! I totally believe those prisoners were bad news. I'm just glad the show isn't shying away from showing it. I like that they are really establishing the sense of danger. As for prisoners with the money in their pockets. Yeah, great question. There obviously is some large conspiracy and someone in charge of the situation. So they're either cloning old prisoners and giving them the supplies they need. Or they sent them through some time travel wormhole (thanks HURTO) and the supplies are provided to them somehow. Or some other explanation that we'll get eventually. lol In any case, definitely a good question to keep tabs on! And I'm so annoyed that I'm so far behind on Revenge. I just don't see us catching up beforehand because I don't have all of the episodes. But maybe I'll figure something out! I also assumed that the blood Olivia was having sampled was her own. She's been having headaches and, if she has been knocked out and drugged more than once (by Nina's goons), she probably has suspicions that something "ain't right". I hope you are right and it's the Observers, we may finally find out something interesting about them. I think it's about time to start explaining their nature to we viewers. I don't like the shape-shifter angle any more this time than the first time. Wondering who is real and who is a replicant gets old and after a while and I find myself annoyed waiting for the dust to settle. I don't like the idea of Broyles being a replicant. Also, from the 8th episode, I have read other comments and reviews and there is some speculation as to whether September's revelation that Olivia must die meant in all time/universe combinations or just the one in which the message was delivered. He said he had checked all possible futures - but didn't specify beyond that. Anyway I could see Olivia having to die in that time line only as part of restoring Peter back to his time line. That would provide one hell of a sweeps episode - you get to kill off your main character without killing them off. This multiple universe/time line dealy lets the writers have lots of liberty. As for Alcatraz I think it would be cool if every time they flashed back to the 20's there were dirigibles in the sky (LOL). Hmm...that's a good point with Olivia being drugged and stuff and the headaches. But, I still don't get why she'd be curious to get her blood checked out. But then again, I'm not sure how the Observer would have left blood behind unless that gunshot went straight through to the theater seat. Guess we'll find out eventually. But, I agree that some info on the Observers would be fantastic. I'm just never sure if they're ever planning to go there or if the Observers are just a known part of this universe and that's all we get. I'm hoping that's not the case though. Interesting thought with only this Olivia having to die. But once again, we already did have the shocking KILLING of Olivia and then it not mattering because Peter changed things. I dunno, it could be right but I just think it's leading more to this whole "man with the x on his shirt" storyline that involves OUR original version of Olivia too. Funny stuff with the Alcatraz! lol Too bad they only have flashed back to 1960 and 1963 so far. :-) lol Speaking of which. Better get started on my commentary of tonight's ep! Got to watch Once last night. I thought the same things about those tall dwarves ! LOL Snow isnt' that tiny to be their height. Loved how they dare not be together but then finally give in and kiss in the street right off Main street. UGH! Too funny. Is this write supposed to be a fairy character? If so I can't figure out who. BUt maybe that's part of the changes that have started. The kid has stated that no one comes and visits - or something like that - so this guy coming shows that changes are now in place.